The BERNINA 530 boasts an extensive repertoire of utility and decorative stitches whose properties can be individually set. Stitch width and length as well as 11 different needle positions can be freely modified, and either temporarily or permanently saved to the 530's memory. 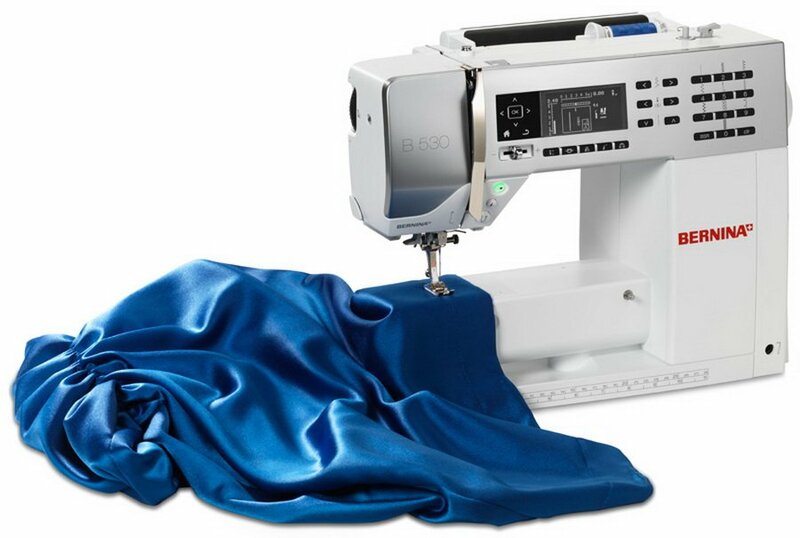 The BERNINA 530 is therefore up to the challenge of a wide range of tasks, and provides you with optimum control over your sewing projects. Stitch parameters can be individually matched to the fabric and the intended effect, so that you always achieve your desired result when you are sewing and quilting. The BERNINA 530's clearly laid out control panel enables quick access to all stitch patterns and settings, including reverse and mirror function, manual or automatic button hole, and much more. Clever, practical, and flexible - the ideal sewing machine for ambitious sewers. 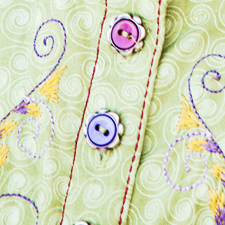 The BERNINA 530 provides an exclusive level of stitch control. Whether altering the stitch length (up to 5 mm), width (up to 5.5 mm) or needle position (up to 11) or even creating custom combinations, you’ll appreciate the convenience of a machine that remembers the stitch details for you. The BERNINA Stitch Regulator (BSR) is designed to assist you in mastering freemotion techniques by keeping stitches consistent at variable sewing speeds. The BSR offers confidence for the beginner and additional insurance for the experienced quilter. The BSR comes standard as an optional accessory for the B 530. 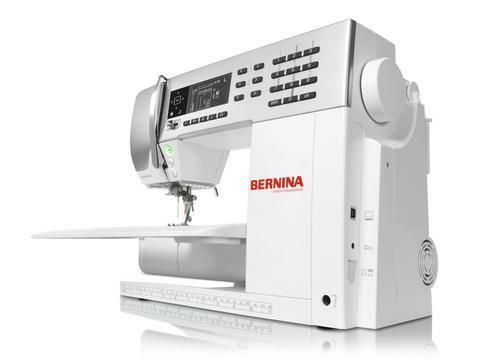 The BERNINA 530 was designed with your sewing future in mind. A variety of special accessories and presser feet are included with the machine. When you are ready to expand your options, you’ll find a broad range of accessories available. Whatever new techniques you want to explore, you’ll find the right accessories to help grow your sewing and quilting skills. You’ll appreciate the user friendly features and simple interface. The crisp LCD screen displays all your settings at a glance. The built-in Sewing Consultant is ready to assist you at anytime. The practical semi-automatic needle threader lets you start sewing faster. With the BERNINA 530, you’ll spend more of your valuable time sewing and quilting.